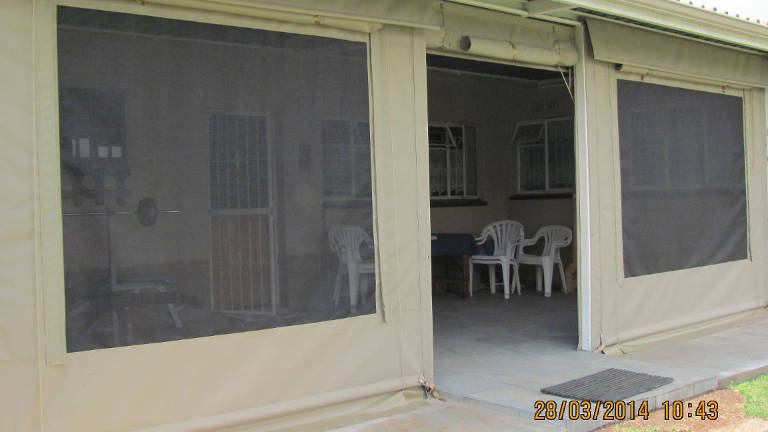 An ideal way to enclose your lapa, patio, balcony,carport or restaurant and be protected against wind, rain, sun and cold. Some options you can choose between include zipped blinds for full enclosure and maximum protection, or choose frameless blinds for a simple but effective weather barrier. 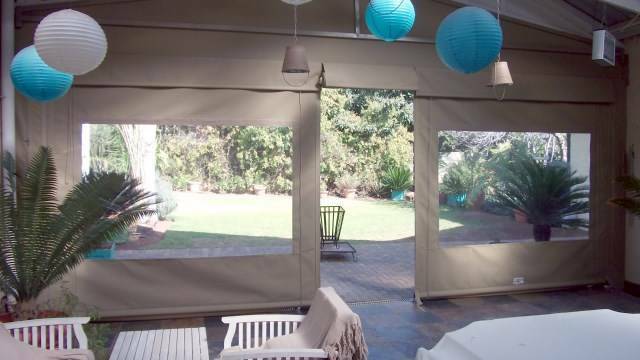 Our outdoor blinds are designed to look the best and outlast the rest, with a variety of high quality materials and user-friendly operating systems available for you to choose from, such as crank gear roller blinds, the more traditional rope and pulley drop blinds, or have your outdoor roller blinds motorised. 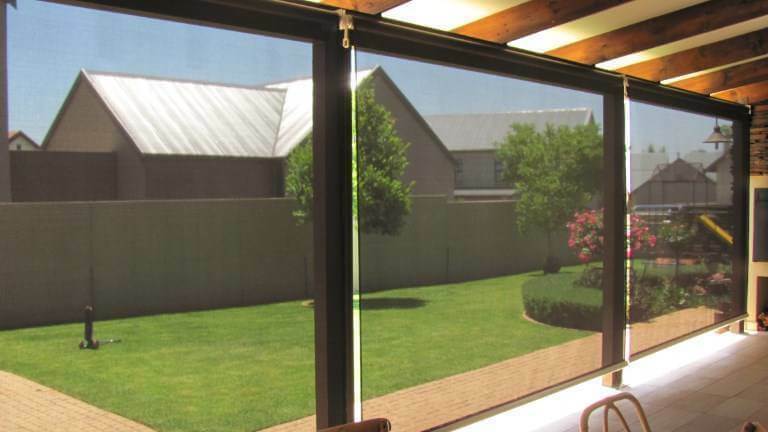 These micro-perforated yet very tough solar screens are designed to block out the sun and glare before it reaches your outdoor (or indoor) area, and regulate heat while maintaining full visibility. 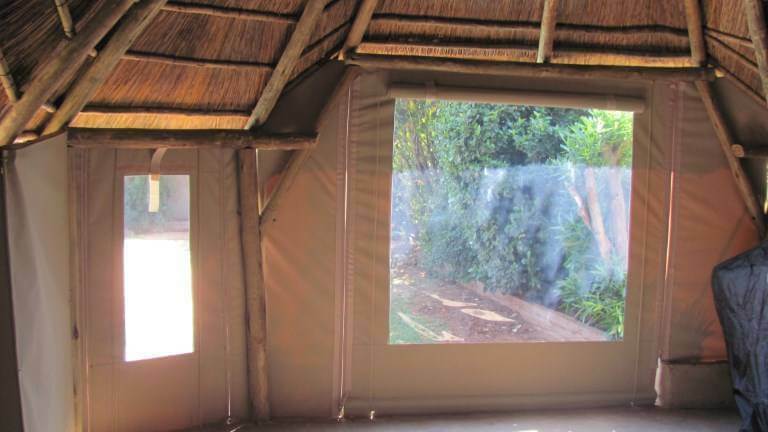 Our solar screens are strong, UV resistant, fire retardant and actively repel heat - keeping warmth where you want it and reducing your energy costs. 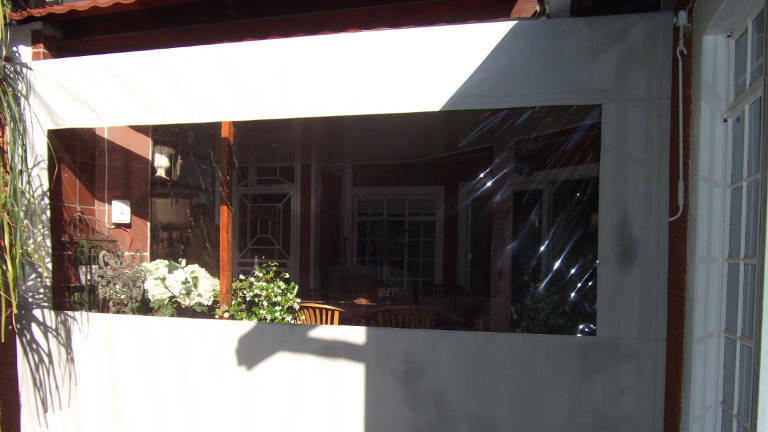 Both discreet and effective, these aesthetically pleasing solar screens can be fitted to any outdoor space such as patios, lapas, balconies and outside windows. The subtle open-weave texture harmoniously diffuses light and can serve as a great option to control natural lighting for any design scheme, especially considering the variety of colors available. 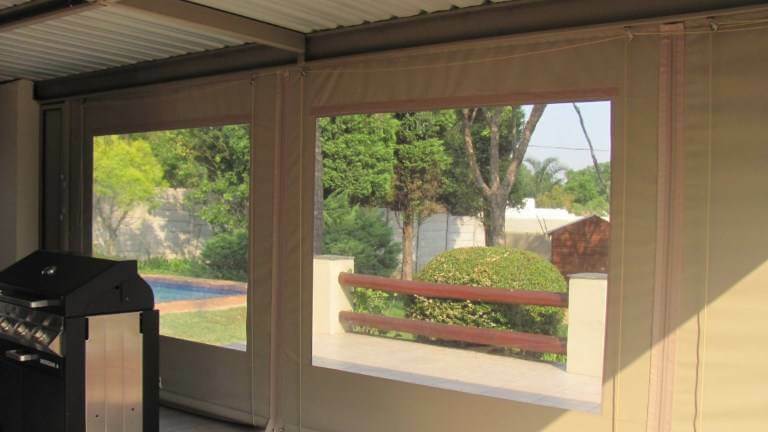 Servicing Gauteng and the surrounding area, Duramaster® Outdoor is dedicated to providing you with friendly and expert service and the best quality product. We take pride in our products and manufacture everything locally, there is no middleman. 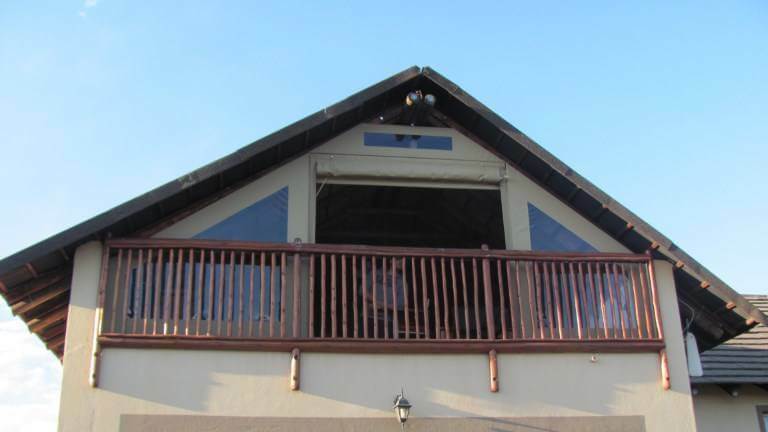 All our products are made of the highest quality materials and every installation is completed by a team of skilled, experienced, and dependable workmen. We offer up to 5 years guarantee on all materials 4 year guarantee on our Ripstop / RipBlock canvas and our UV-stabilised clear pvc. A 5 year anti-perishing guarantee applies to our 100% acrylic canvasses and solar textiles and a comprehensive 2 year guarantee on all mechanics and workmanship. All our products can be customised to give you the most personal experience possible. We have a variety of colours available for you to choose from as well as varied materials and user-friendly operating systems. 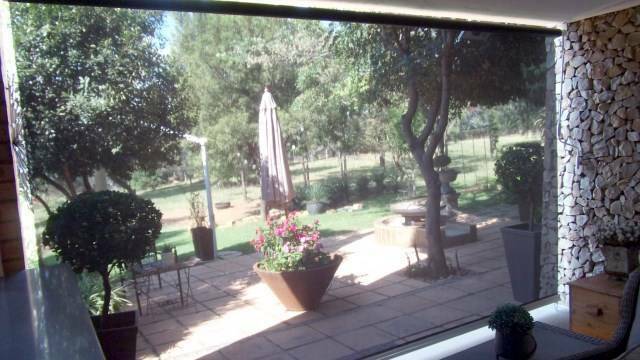 Our solar screens and roller blinds may be motorised for maximum convenience. We have DIY DIY is available nationwide. options available if you'd prefer to install yourself. For an in-depth list of available options please feel free to view the respective product pages. We offer a free, no obligation quote to customers in the Gauteng area including Pretoria, Midrand, Centurion, Johannesburg. A nominal call out fee is charged for quotes in the The Vaal Triangle and Hartebeesport Dam areas which is redeemable upon an accepted quotation. Our consultants will travel to other outlying areas too, where a nominal call out fee is applicable. info@duramaster.co.za with your details and we'll arrange for one of our professional consultants to contact you and help you decide on the best option to solve your weather problems for your outdoor area.